He looked first to his left, then to his right and glided through the dark entrance. He was dressed in black, from his tuque to his pants. Walking fast, his step was lightly brushing the ground, his skate shoes barely emitting any noise hitting the gravel. Without slowing down, Pabstman turned to me.“If you see anybody, run through there,” he said, pointing at the train tracks and the empty lot behind them. 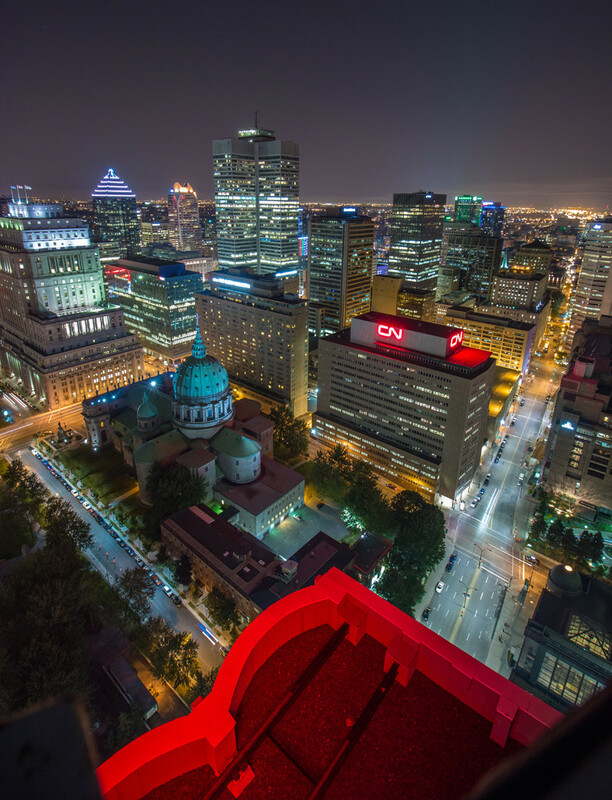 A few nights a week, the Westmount flâneur sets out on an urban exploration “mission,” which consists of entering off-limit sites like abandoned buildings, construction sites and rooftops. “It’s always a venture into the unknown,” he said. “If I ever get caught, I just show them my camera and say I’m only here to take photos,” Pabstman said as he served me a Spanish decaf coffee at his Plateau apartment. He poured in just a little more cognac than coffee and looked at me, a bottle of whipped cream in his hand with a suggestive gleam in his eyes. 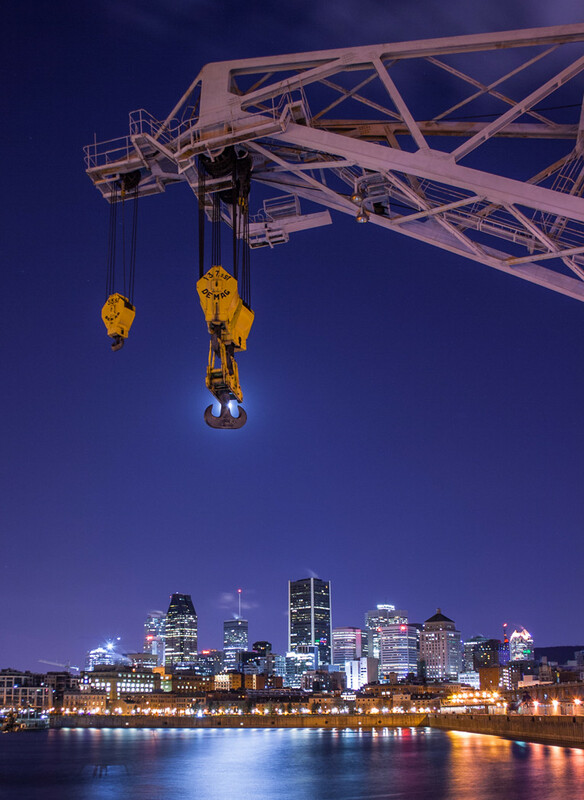 Pabstman has been capturing the Montreal skyline since he was 12. His endless curiosity for the unknown incited him to start exploring the city 10 years ago. Since his first mission, Pabstman has been discovering another Montreal that lies hidden within the city. “[Urban explorers investigate] spaces that are marginal, off-limits, that are in between two spaces that are defined,” said Silvano de la Llata, Assistant Professor of Geography, Planning and Environment at Concordia. 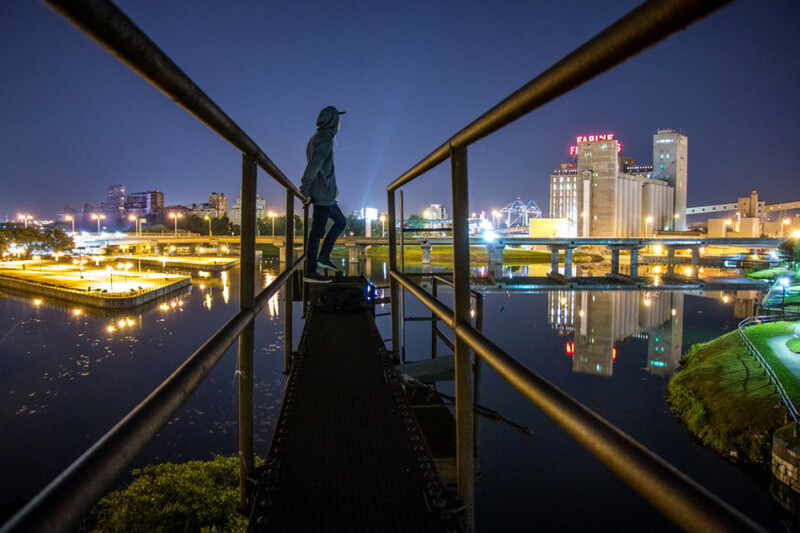 For Pabstman, urban exploring isn’t just another underground hobby to escape the confines of society—it’s about questioning the limits of “public space” as set by laws and regulations and redefining it. Within urban exploration lies a creative process of repurposing the “in-between” of the city—spaces that haven’t been given a purpose yet, like construction sites, or spaces that have become obsolete over time, like abandoned buildings. “You’re engaging with the city as a laboratory,” de la Llata said. 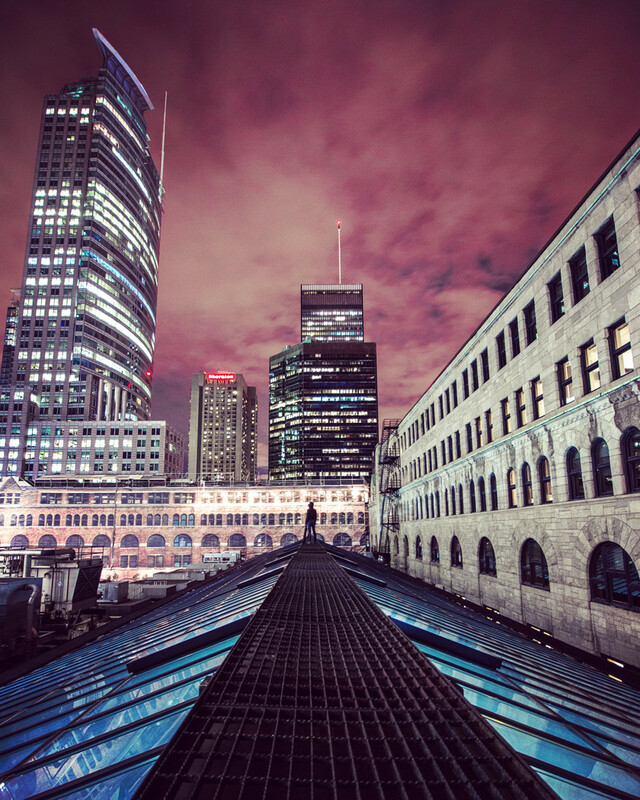 Pabstman has climbed the tallest point on the island, ventured through the contaminated sewers of Montreal and entered just about every abandoned, dilapidated building. “It’s a bit like having a key to the city,” Pabstman said. Born and bred in Montreal, his passion for urban exploring stemmed organically from his endless curiosity for all things off-limits. At the age of 12, his father brought him into the Canada Malting plant along the Lachine Canal to take photos. Years later, he returned to that same building to go urban camping with friends. change,” de la Llata said. 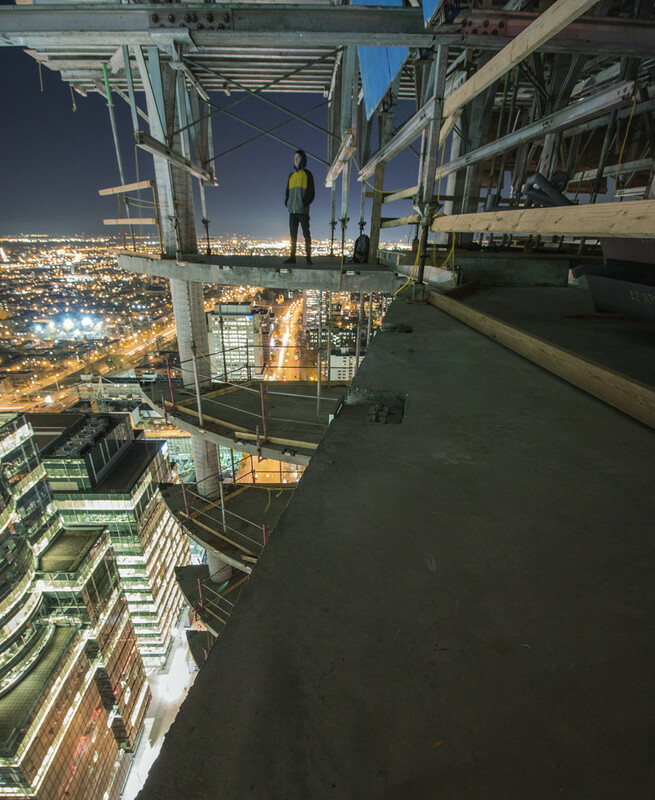 By entering these otherwise forgotten spaces, urban explorers are giving them a purpose, and ultimately, another life. The places urban explorers choose to enter are no secret to the common person—the real secret is how to get in, Pabstman said. One of the first times I went urban exploring with him, he brought me to Silo 5 in the Old Port. It’s a giant metal creature that was once used as a grain mill—today it is abandoned. Standing at the bottom of the enormous iron box, tunnels spewing out from both ends, Pabstman pointed up at its crane-like feet and told me to climb up the tower to get in. I started climbing the icy pillar—lifting my right arm, and then my left leg slowly, unsure of myself. I was climbing for about 40 seconds when I heard Pabstman from down below telling me that I had made it up, and I just needed to get my body through the narrow trap door to be back on “safe” grounds. Eventually, we had reached the main building, the silo, and we started climbing up to the roof. I hadn’t noticed how bad the smell was in there until we stepped out and I inhaled a big breath of icy cold air that stung my lungs. On the rooftop, still breathing heavily from the climb, we stared at the city and it stared back at us. The late afternoon golden sun was beaming down, reflecting off Montreal’s downtown core. We could hear birds flapping their wings above our heads. Whether he’s climbing cranes, “rooftop- ping,” or entering abandoned buildings, Pabstman is always looking for a rush. He’s looking for that moment, looking down 40 storeys at the city lights, listening to the slowed down hustle of the night, when he feels he owns the city. These photos are the memories that Pabstman will bring back to show his friends and followers on Instagram and Flickr.